Activity for Reviewing Novels: Say it Again? As my students are facing IB exams soon, they are starting to sweat over all the content that they have to remember for the exams—a number that can easily exceed 16! So I have started to review the readings from this semester that will be their fodder for rich essays on their final Paper 2 Examination. Here is an activity that involves everyone and can only take a few minutes. The activity is not, of course, limited to IB exams. This works for review of any novel you will assess. 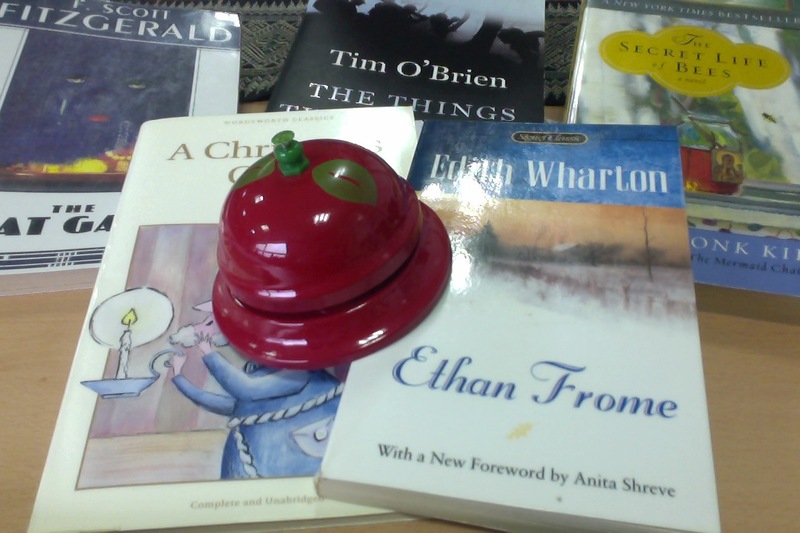 My bell is colored like the classic apple on a teacher’s desk. You need something to act as a bell. I use a red desk bell because the sound is not overbearing but easy to hear. 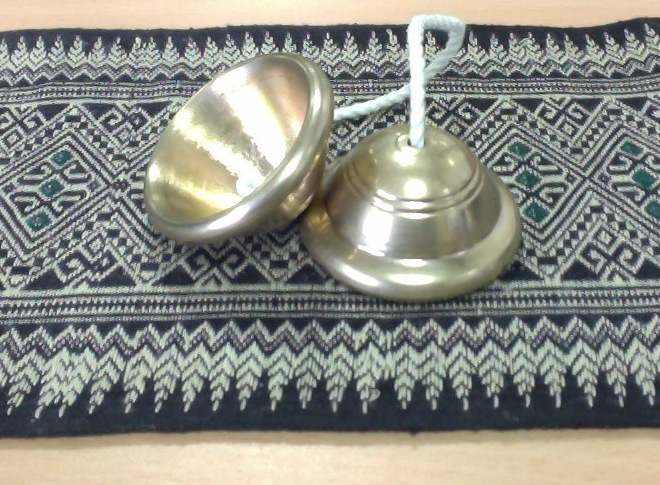 I also throw in a more international flavor with bells from Thailand. The rules are pretty simple: we are retelling the story from memory, everyone will tell a portion, and when the bell rings, switch tellers. I move randomly around the room. This makes every student have to listen because they have to pick up where the other person leaves off. I also call on students more than once, so they don’t think that because they talked they are finished. They aren’t. If a student skips too far, I let them know after they are finished talking that they missed some important parts, and I ask someone else to fill in the gaps. I keep the telling fast paced. If a student pauses too long, I hit the bell. Occasionally, if a student can’t start talking when I call on them, I move on. But, of course, I come back to the student again. The idea is to have the telling move quickly and energetically through the book. I got these bells from Thailand. Great harmonics! All kids are engaged—no one wants to be caught napping. No student who draws a blank is in the hot seat too long, only seconds. Everyone hears the whole book in a few minutes. If the rhythm and timing really get going, they applaud their efforts when they are finished. They get better the more you do it. When exam time comes, the whole of the novel is there for recall in seconds. That way, the kids can really focus on the more challenging side of writing their thoughts, rather than spending time trying to remember events in the book.